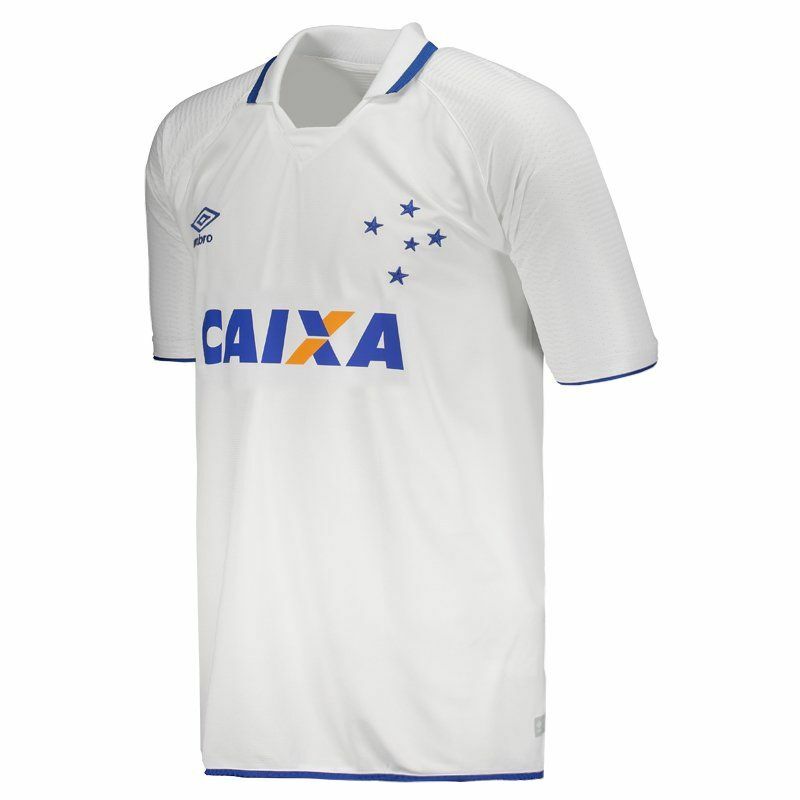 Umbro presents the Cruzeiro away mantle for 2017. The piece comes with number 10 on the back and offers name customization using the official team fonts. Made of lightweight polyester. More info. 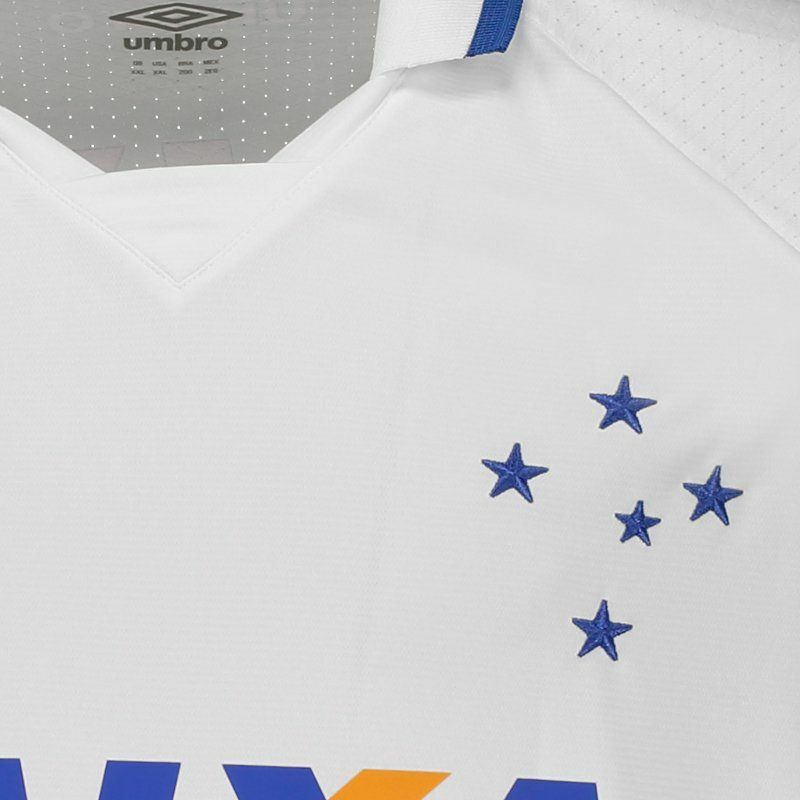 Umbro presents the Cruzeiro reserve mantle for 2017. 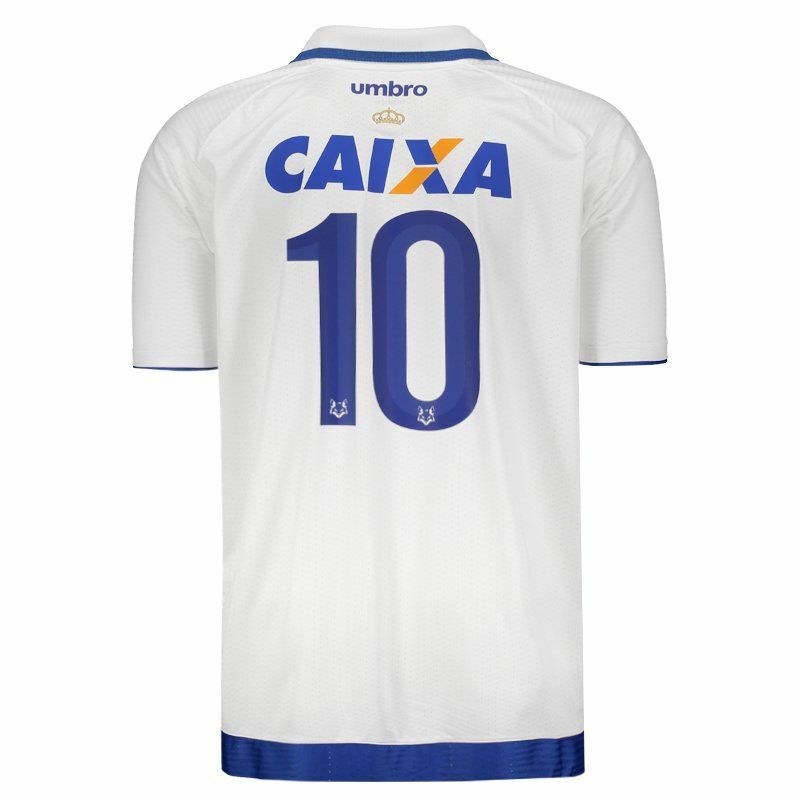 The piece comes with the number 10 on the back and offers name customization using the official team fonts. Made of lightweight polyester, it has breathable mesh fabrics around the sleeves and back that keep the area cool and airy. Its design presents the predominant white color, there are still details in blue, as can be seen in the handle of the sleeves and bar. The same color is seen on the team's badge, which shows presence embroidered on the left side of the chest, as well as the Umbro logo, present on the opposite side. The collar in turn is polo with false cut V and fabric superimposed, adding much charm to the look. In addition, in the front is seen fixed above the bar, a stamp that recalls the 20th anniversary of the Copa Libertadores two time champion in 1997. In the back, below the nape of the neck, the logo of the supplier brand is seen again and next to it, the symbol of the triple crown, conquered in 2003. Finally, sponsorships are seen in both parts complementing the details of the mantle. Cruzeiro Esporte Clube, commonly known as Cruzeiro and nicknamed Raposa (English: Fox), is a Brazilian multisport club based in Barro Preto, Belo Horizonte. 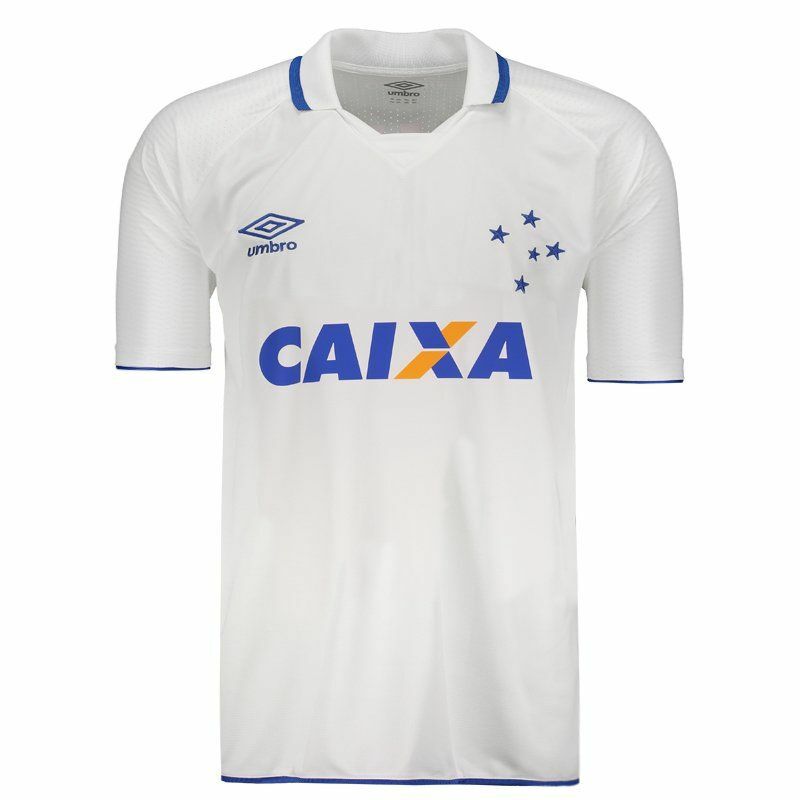 Although they compete in a number of different sports, Cruzeiro is mostly known for its association football team. It plays in the Campeonato Mineiro, the state of Minas Gerais's premier state league, as well as in the Campeonato Brasileiro Série A, the top tier of the Brazilian football league system. Cruzeiro are one of the five Brazilian clubs to have never been relegated, along with São Paulo, Flamengo, Internacional and Santos.